Speculoos — or cookie butter — is a tasty European spread, and here it’s used to put a fun twist on basic, everyday fudge with just five ingredients. Cookie butter — also commonly known as Speculoos — is an amazingly delicious treat found in Europe, especially in areas such as the Netherlands, Germany and other neighboring countries. With an appearance and consistency very similar to that of peanut butter, Speculoos is made from crushed cookies and tastes almost like a gingerbread cookie. 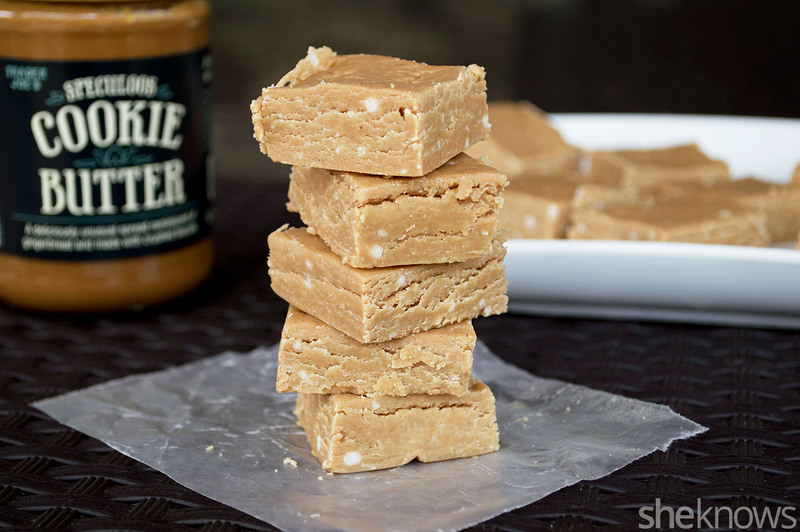 I took the idea of fudge but swapped out the peanut butter and instead used cookie butter in its place. This rich and very decadent treat is perfect when you want a little something sweet to get your sugar fix. The spices and gingerlike taste add a nice contrast against the sweet flavor, creating something super satisfying. 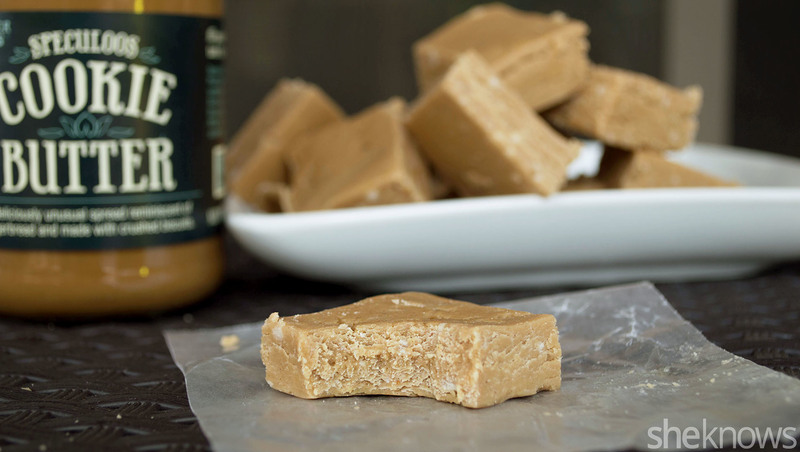 Speculoos is used as the base in this fudge recipe, yielding a sweet and spicy mix of contrasting flavors to this bite-size dessert. Line an 8-inch baking dish with aluminum foil, and set it aside. To a pan over medium-high heat, add all the ingredients except for the cookie butter, and bring to a light boil, about 5 minutes. Reduce the heat to medium-low, and carefully stir in the cookie butter. Continue simmering the mixture until it becomes nice and thick, about 4 to 5 additional minutes. Carefully pour the hot mixture into the baking dish, and allow it cool for 10 minutes. Place the dish into the refrigerator, and chill it for 2 hours or until the fudge is very firm. Remove the fudge from the baking dish, and cut it into desired-size pieces.